Israeli Poets Speak to America of Life and Home, Anguish and Sorrow, Love, Joy and Hope. one nation of pioneers to another. The striking Marc Chagall cover provides additional appeal to this literary first. POETRY FOR PEACE PRIZE 1993 & 1996. 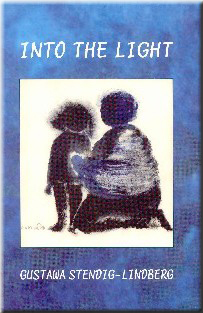 POETRY FOR PEACE PRIZE 1993, 1996 & 1998. Editorial assistance from Karen Alkalay-Gut, Jeff Green, Stella Levi Komet and Mark L. Levinson. 72 pp. Illustrations and cover, Eva Ariela Lindberg. Here is a rare book of poetry insofar as the poems in Parts 2ï¿½6 were written over the years, each in response to a specific event or development, or to illustrate a current trend, between 1943 and the present day. It serves as a mirror of events as varied as the Flight of the Dalai Lama from Tibet in 1959, to a mine disaster in France, to the present-day intifada. In a way it is a documentary presented in poetic language. The six sections are (1) Genesis, (2) WWII, (3) Years of Hope, (4) When will they ever learn? (5) Assailed and assailed again, (6) Israel and the Nations. Editorial assistance from Roisin Kelly, Mark L. Levinson and Stella Komet. 111 pp. 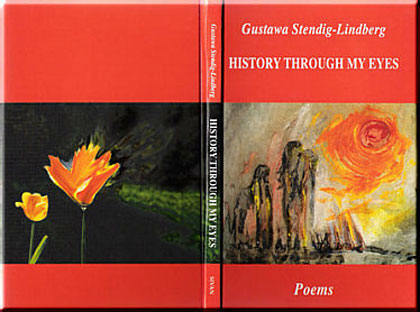 Cover pictures, Witnessing and The Fire Tulip, by Eva Ariela Lindberg. Authentic poems from the Holocaust with a few post-war poems, in four parts; Selection from 1940 to 1973. 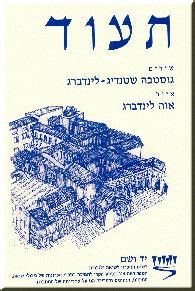 Teud is an enlarged edition of Dokumenty, the Polish original published in Tel-Aviv in 1984. In Hebrew: Translators from Polish, Arieh Brauner & Ruth Schwartz; translator from English, Yael Buchspan. Cover and illustrations, Eva Ariela Lindberg. Published 2002, Yad Vashem, Jerusalem, Israel. ISBN 965 90390 0 X. Instead of an Epitaph for I.M.I. Who made Our Voices Heard? Several Poetry Readings in Sweden, Israel & USA.